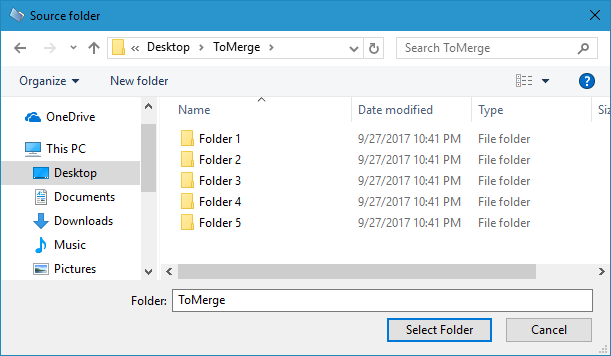 A tool to merge the contents of different folders into a single folder, while (optional) keeping its folder structure. 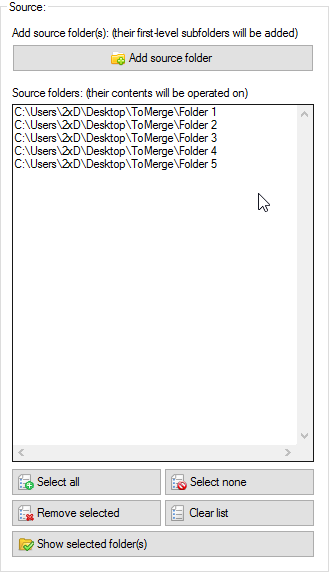 To start, you first have to add the subfolders whose contents you want to merge via "Add source folder" or by using the drag and drop function on the source folders list (the latter requires the program to be run as invoker, not admin). Adding the source folder will add its first-level subfolders. Use the selection tools in the bottom to filter the folders you don't want to include into the merging process. Then choose the destination folder where you want to merge your files via "Browse" or by using drag and drop. 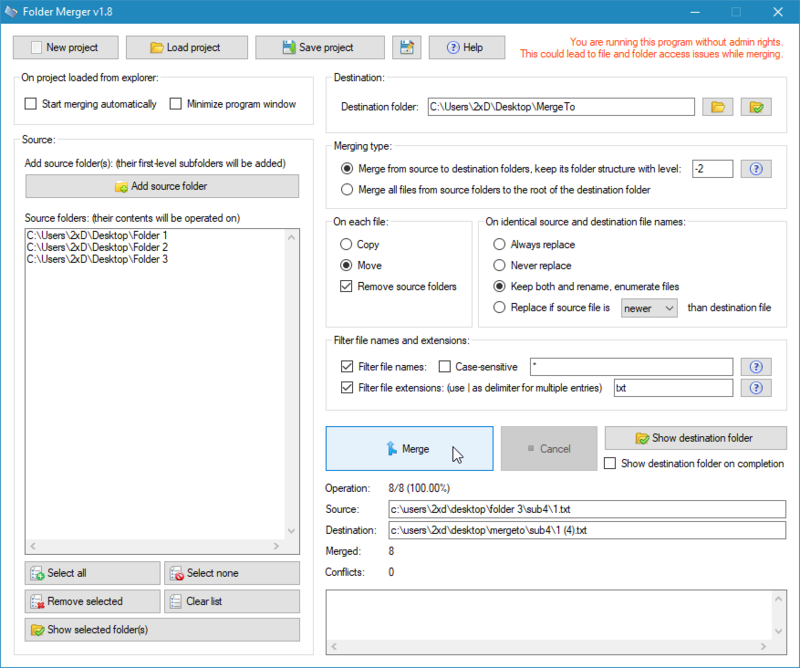 Next, select the merging type, the filters to be applied and the replace method on identical source and destination file names. Click on help icons next to the text boxes to get more information on the wildcards. 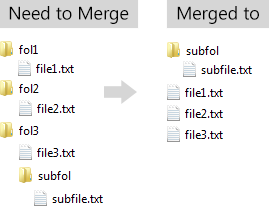 Finally click the "Merge" button to start the folder merging process. More detailed information can be found in the help inside the program. It is recommended to run this program as administrator. Running as invoker (not admin) does not guarantee a successful merging process. This program requires .NET Framework 4.0 or higher to be installed.